A key transportation goal of the Crystal City Sector Plan is close to becoming reality. 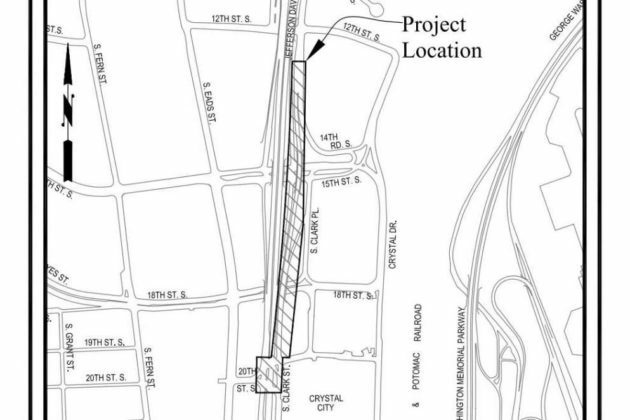 The Arlington County Board on Saturday is expected to consider a $6.3 million contract to demolish the elevated portion of S. Clark Street between 12th Street and 20th Street S.
While taking away a useful but relatively lightly used shortcut across Crystal City, the project will “normalize the street network and create more development space in the Crystal City area,” according to the county staff report. 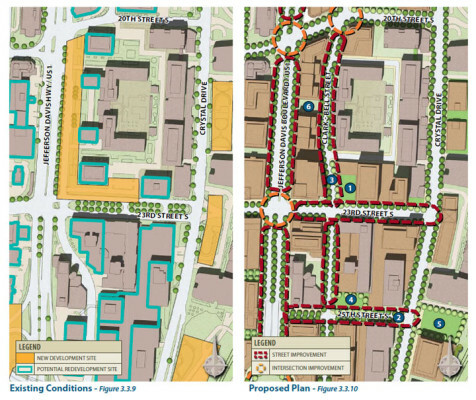 The South Clark-Bell Street Demolition project is a goal of both the Crystal City Sector Plan and Crystal City Multimodal Transportation Study. It will improve safety for all modes of transportation and will establish the long-term street grid for the north and south portions of Crystal City along with the 15th Street South/South Clark-Bell Street Realignment project. The elevated portions of South Clark-Bell Street will be demolished north of 18th Street South. South of 18th Street South, new open space will be created in the existing roadway right-of-way and new sidewalks, landscaping, and lighting along U.S. Route 1 will be provided. 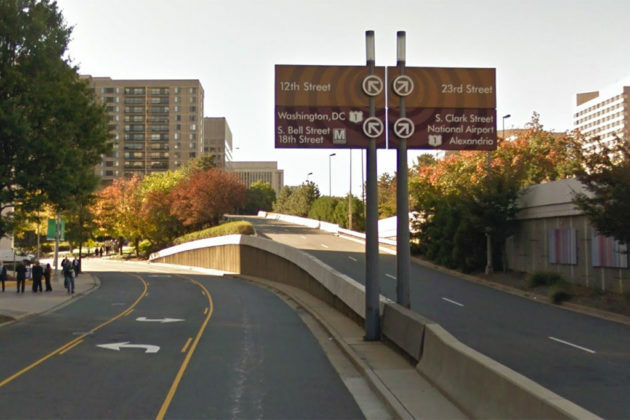 The project will also establish new building pad development sites for redevelopment of Crystal City, with the necessary infrastructure to transform the U.S. Route 1 corridor in Crystal City on the east side. The project also includes traffic signal upgrades at 20th Street S. and Route 1. 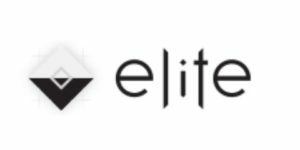 The winning bid on the project was $6.3 million from Ardent Company, LLC, which was higher than the original $5.5 million county engineer’s estimate, but much lower than the only other bid published: $15 million from Fort Myer Construction Corporation. If approved by the County Board, the contract would include a $1.3 million contingency for a total authorization of $7.6 million. Construction is expected to begin this fall and wrap up in the summer of 2019.